Do you have an old elevator in your home or commercial space? If you do, are you certain that your elevator is up to code and safe for people to use? As the old adage goes, it is better to be safe rather than sorry. Nationwide Lifts is an elevator modernization company you can trust to fix up your lift! 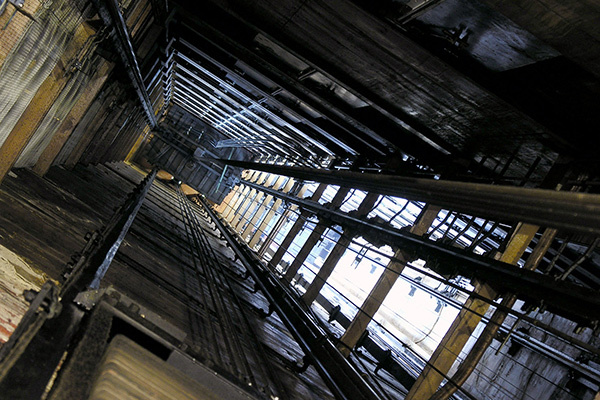 Our experts can help you determine whether or not your elevator is safe to use. Elevators are pieces of technology that continue to improve. Research and development have brought the original models of elevators into the 21st century. The elevators produced today are smarter, faster, and safer. If your home or commercial space currently has an elevator installed, you do not need to purchase a new one: Nationwide Lifts can help bring your existing elevator into the modern age and bring it up to code, making it safe according to today’s standards. Modern elevators have gotten smarter, particularly regarding dispatching. These newer models are faster and safer than their predecessors. Of course, codes continue to evolve as well to make riding in elevators safer for the general public. If you find that your elevator is outdated, Nationwide Lifts can help you bring it up to date. Our team of experts has the experience and expertise necessary to modernize your elevator, whether it is installed in your home, office, or another commercial setting. We are an elevator modernization company that is able to analyze the situation and provide reliable estimates to our customers. We will let you know if a modernization project is what you need or if it would be more cost-effective for you to have your elevator completely replaced. Nationwide Lifts is a full-service elevator modernization company that also offers wheelchair lifts, dumbwaiters, and more for sale online. Reach out to our friendly staff today for more information on our modernization services. If you are not in the market for elevator modernization but instead interested in our other products, we are happy to send you a free catalog that contains more information. Trust Nationwide Lifts for all of your elevator needs! Shop with us online now to buy elevators, wheelchair lifts, and more, or call for a free quote on having your current elevator modernized.